Aurora (Jennifer Lawrence) and Jim (Chris Pratt) are two passengers onboard a spaceship transporting them to a new life on another planet. The trip takes a deadly turn when their hibernation pods mysteriously wake them 90 years before they reach their destination. As the couple try to unravel the mystery behind the malfunction, they begin to fall for each other, unable to deny their intense attraction... only to be threatened by the imminent collapse of the ship and the discovery of the truth behind why they woke up. Click Here An Never Miss A Review! Well, you can't criticise Sony Pictures for failing to market Passengers. It feels as if we have been watching this movie's trailer since the dawn of time. While the film felt intriguing at first, in the weeks leading up to its release I, like Michael Sheen's android character, Arthur, wanted to bang my head on a bar. However, I remained interested in watching Passengers - largely because of the film's two leads and my enjoyment of director Morten Tyldum's previous film, The Imitation Game . Passengers is a divisive movie. Some audiences will like it, some will find it objectionable. I find myself somewhere in between. I like the company of Chris Pratt and Jennifer Lawrence - they are both charismatic, funny and engaging in this film. The pair have great chemistry and make perfect sense as a couple. Meanwhile, Micheal Sheen is superb as Arthur (I only wish he had more screen time) and it was good to see Laurence Fishburne - however, he, too, is criminally underused. I also enjoyed the shiny space-coolness of the Avalon (with all of its robots and gadgets) and Passenger's visual effects are impressive - particularly the zero gravity swimming pool scene. ... so here's the problem I have with Passengers. Something happens in the movie that leads to Aurora waking up from her hibernation. Your enjoyment of Passengers will largely depend on whether you can forgive that 'something'. The film really wants you to - I just couldn't. It is not that the premise itself is objectionable. It is actually quite interesting - in a dark and twisty way. 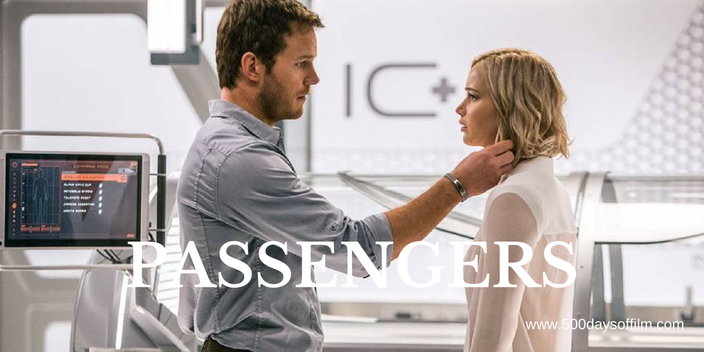 However, in what feels like a missed opportunity, Passengers chooses to avoid that darkness. It doesn't want us to think too much. Instead the movie wants us to like and root for Aurora and Jim's romance. I just couldn't help wondering how the story would feel if Jim wasn't portrayed by Chris Pratt and was played by an unattractive charisma vacuum instead. Would we enjoy the story in the same way? I don't think so and that makes me feel uncomfortable. I wanted to like Passengers but as fatal flaws go this is, for me, insurmountable. In a year full of smart science fiction movies like Arrival and Rogue One, Passengers may well be a space trip best forgotten. Aurora... seriously, could they have chosen a more 'on the nose' name? If you have, what did you think of this sci fi movie? Do let me know in the box below.